Motor vehicle accidents are perpetually the cause of thousands of deaths and serious injuries; 2018 was the third consecutive year with over 40,000 accident fatalities in the United States. Last year’s data from the National Highway Safety Traffic Administration shows California ranked second in the nation for fatalities, with 3,602 victims. Even so, this number actually represents a 3.1 percent decrease from the previous year. In the aftermath of a motor vehicle accident, survivors and their families often face incredible physical, personal, and financial burdens. Aitken * Aitken * Cohn in Santa Ana is committed to serving clients whose lives have been derailed by the negligence or recklessness of someone else, and we are proud to have helped them receive the justice and compensation they deserve. If you have been injured in a motor vehicle accident, or have lost someone you love, contact Aitken * Aitken * Cohn in Santa Ana today at (714) 434-1424 or online to schedule a free consultation and learn if we may be able to help you. The traumatic injuries that commonly occur in serious motor vehicle accidents obviously require immediate medical attention. However, even minor accidents can cause devastating injuries, including some that may not fully manifest for hours or even days, such as spinal cord injuries, whiplash, internal bruising, and concussions. It is therefore not uncommon for new symptoms to develop sometime after the accident. Any injury, regardless of severity, can result in substantial medical bills, lost wages, and pain and suffering. If you were in an accident and your injuries were caused by the negligence or recklessness of someone else, you may be entitled to recover your damages. Speak to an experienced personal injury lawyer at Aitken * Aitken * Cohn as soon as possible, and get the legal help you need. With the Baby Boomer generation aging, an increasing number of Americans are driving later in life. The Washington Post reports that senior drivers are one of the fastest-growing demographics in the country. By 2045, the total number of drivers ages 65 and older will have risen about 77 percent from today’s numbers. In fact, there are already more than 2.5 million drivers in California alone who are age 70 or older. Under California law, these drivers must renew their licenses in person, rather than online, in order for the state to ascertain the visual, cognitive, and physical abilities of the driver. Nobody gets into a car expecting to be in a motor vehicle accident. Yet accidents happen every day. If you have been involved in an accident, it’s important to know your rights and have the right advocate on your side to protect them. Every accident and every client is unique, and so past cases are not a guarantee for future outcomes. However, the legal team at Aitken * Aitken * Cohn is proud of our record. We recently secured $2.5 in damages for a client who was ejected from a vehicle after a serious rear-end collision. We are committed to working hard for every client to secure the best possible outcome in their case. Distracted driving. Modern technology has been a major culprit behind California accidents in recent years. Despite legislation of new laws, drivers using devices to talk, text, tweet, email, and browse the internet is too common. Unfortunately, not every driver’s eyes are on the road at all times. Traffic law violations. Traffic violations always increase the risk of accidents. Impaired driving. Common sources of driver impairment include fatigue and the use of drugs and alcohol. Vehicle manufacturer defects. Anytime a vehicle or its parts fail, including brakes, tires, and steering wheel, an accident may happen. Road construction and hazards. Construction projects and poorly maintained roads are inherently dangerous. Inexperienced drivers. New drivers commonly make mistakes, and may also intentionally make risky decisions based on their lack of experience. Night driving. Visual acuity is reduced at night, and it may be harder for drivers to see pedestrians, animals, and other hazards until it is too late to avoid collisions. Weather. Inclement weather increases the chances of an accident. Serious accidents often leave victims with physical injuries, emotional trauma, and financial stress. California does not restrict or limit damages for personal injury claims, so victims and their survivors may claim all legitimate costs incurred as a result of their accident. The personal injury lawyers at Aitken * Aitken * Cohn are experienced in handling accident claims, and we have been helping clients recover their damages for nearly 25 years. Our legal team conducts thorough investigations, and build cases using all available evidence. Regardless of whether a case can be resolved through settlement or necessitates litigation, we have the knowledge and skills to help our clients get the compensation they need and deserve. The Aitken * Aitken * Cohn team is united in our commitment to our clients. We are proud of our national reputation for exceptional trial skills and precedent-setting appellate decisions. So while settlements can be faster and easier than litigation, if an insurance company refuses to appropriately pay a claim, we do not hesitate to take the case to trial. Claims adjusters are hired by insurance companies to find the reasons to deny or undervalue a personal injury claim. Their training includes a slate of tactics designed to take advantage of vulnerable accident victims. In many cases, an adjuster may even arrive at an active accident scene hoping to broker a quick settlement or get an admission of partial guilt from the victim. They deliberately attempt to confuse and intimidate victims with provocative questions, and they are skilled at leveraging a driver’s lack of knowledge and experience to their advantage. Comparative negligence laws help to balance the scales of justice and make liability equitable among parties responsible for an accident. 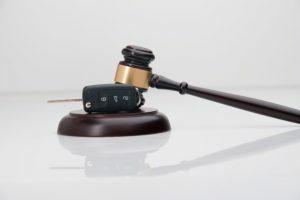 Unfortunately, they also serve as a mechanism for less-than-honest drivers, their lawyers, and insurance carriers, to manipulate the system and shift blame in order to reduce their share of financial outlay. Aitken * Aitken * Cohn has the resources, experience, and commitment to successfully combat these tactics. We handle all communication with the insurance company and opposing counsel on behalf of our clients, to prevent the temptation to accept low-ball settlements and eliminate the impact of intimidation. Our firm accepts cases on a contingency basis, and our attorneys welcome the opportunity to discuss the details of your case with you. Motor vehicle accidents can be traumatic experiences for everyone involved. The resulting medical, legal, and financial stress is made exponentially worse when injuries keep a victim from working and earning an income. Too often, accident victims have a diminished quality of life that lasts much longer than the period of their physical recovery, while in some cases, a person may never be able to return to the wholeness they enjoyed before their accident. As one of the most respected law firms in California, Aitken * Aitken * Cohn has the expertise and capacity to fight for what our clients deserve. We understand the law, our professional relationships with law enforcement and investigators enable us to efficiently work a case and prepare all credible claims, and we know how to build a successful case, grounded in the evidence, that proves the defendants acted negligently or recklessly. Monetary damages are directly related to the jury’s conclusions. We are experts in making compelling and persuasive arguments to the jury, based on the evidence and effective trial advocacy. Our attorneys have a record of success, arguing our client’s cases before California juries, and we have helped our clients recover millions of dollars in damages. Our job as trial lawyers is to know and understand all of the facts of the case, so that we can tell our client’s honest and compelling story to the jury. To that end, we take the time to get to know every one of our clients personally, because if we do not truly appreciate how their injuries have affected their lives, we cannot ensure the jury understands it either. If you become a client of Aitken * Aitken * Cohn, our attorneys will meet with you, face to face, and answer all your questions. How their injuries have impacted their economic condition, relationships, opportunities, and future. For the eighth year in a row, Aitken * Aitken * Cohn was named a Tier One Best Law Firm by U.S. News and World Report and Best Lawyers® in the areas of Personal Injury Litigation – Plaintiffs, Product Liability Litigation – Plaintiffs, and Commercial Litigation. We know that no amount of compensation can restore your life to exactly the way it was before your accident, but recovering your damages is a step in the right direction of healing and justice. If you have been injured in a motor vehicle accident, contact Aitken * Aitken * Cohn in Santa Ana today at (714) 434-1424 or online to schedule a free consultation and learn if we may be able to help you.